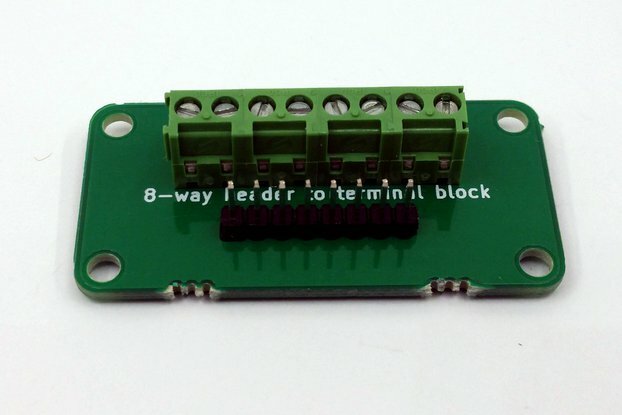 Do you want the "basic" board with terminal blocks, or the "chainable" option with side connections? 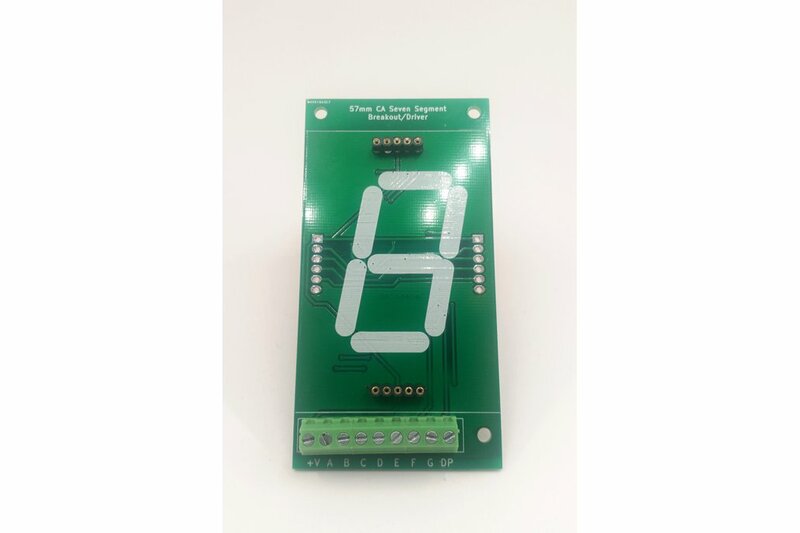 The board is simply used as an interface to a single seven-segment display. 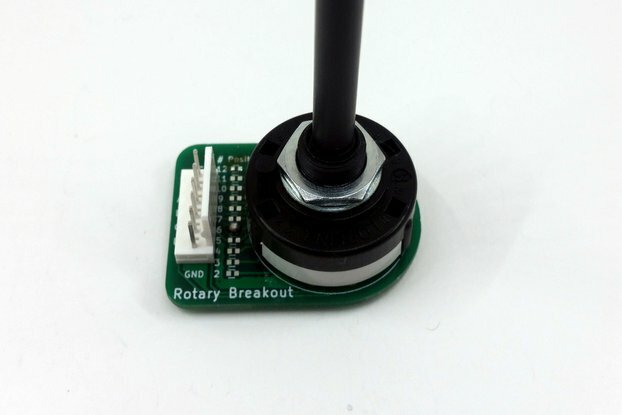 It's designed for a common-anode display, with 57mm digit height (70mm total height). Please note that this board is not supplied with a display. 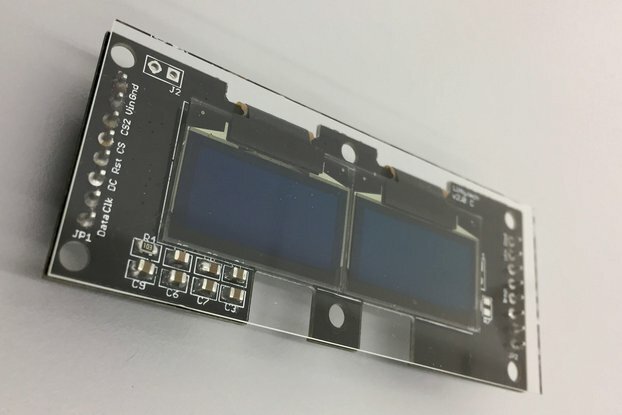 Please note that the chainable displays have a ~4mm gap between them when connected. This just breaks out each pin on the display to a terminal block. 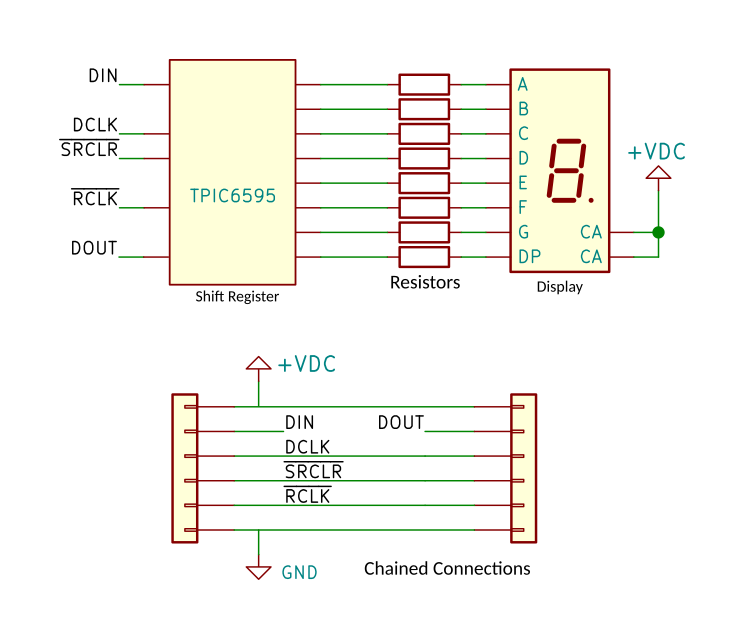 Current-limiting resistors can be soldered onto the board for each segment, or they can be jumped with zero-ohm links if the current limiting is done somewhere else. 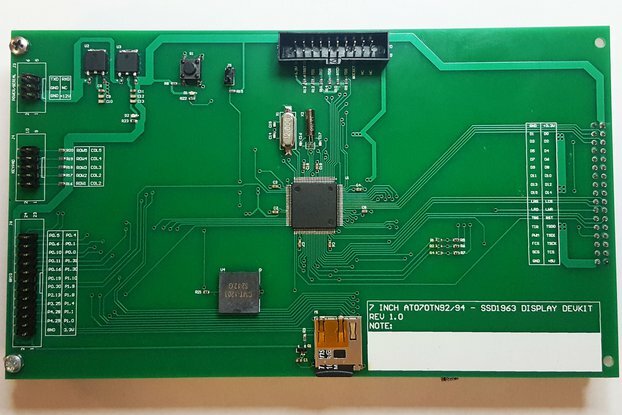 This board has a TPIC6595 shift register on that drives the display. 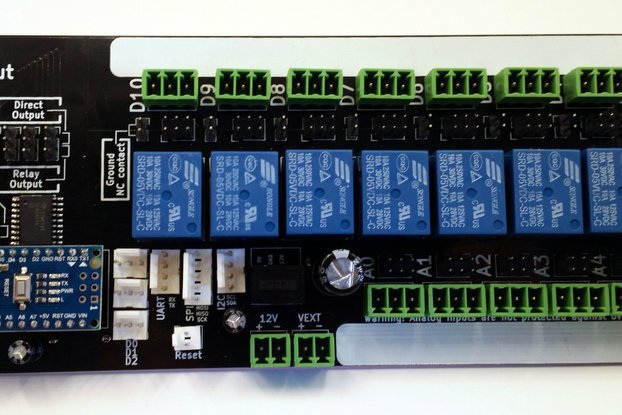 The board has power and data connections so that displays can be linked together to form a multi-digit display. 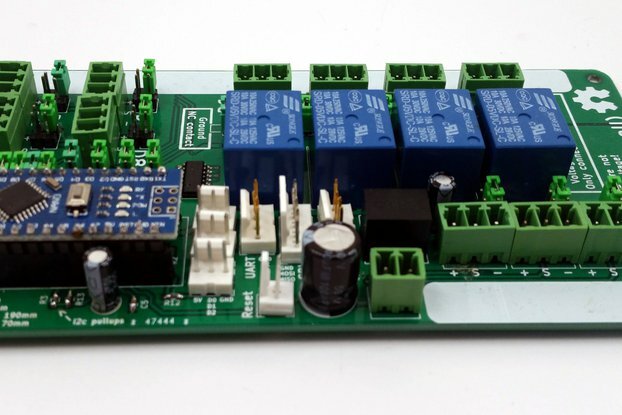 Because the large segment often require high voltages to light the LEDs, each board has a 5V regulator on to power the shift register. 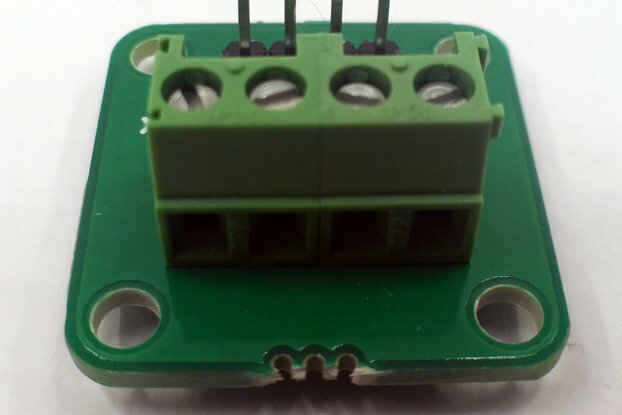 If you want current-limiting resistors fitting to the board, please specify when ordering. 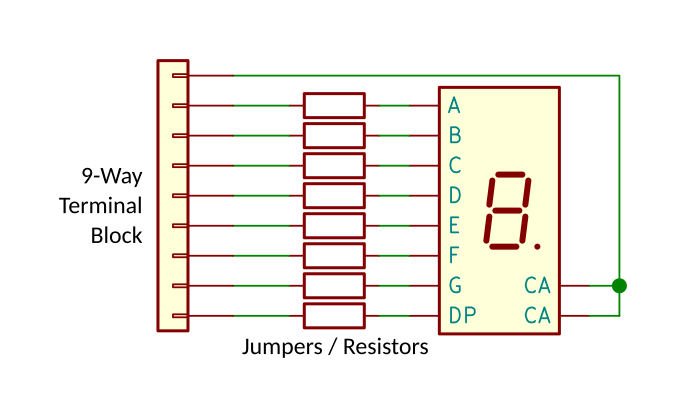 I will contact you to work out the value of resistor you require for your displays.